N O M A D is the one-man knife and tool shop of Bryan Jerabek. 100% handmade using 100% American made materials. Designed for abuse, they will outlive you. Sole owner and designer, knifemaker Bryan Jerabek, created Nomad Knife & Tool out of the lack of knives that fit his discerning want. Nomad consistently uses quality materials to make implements that will outlive any owner, backed by a lifetime guarantee and sharpening. 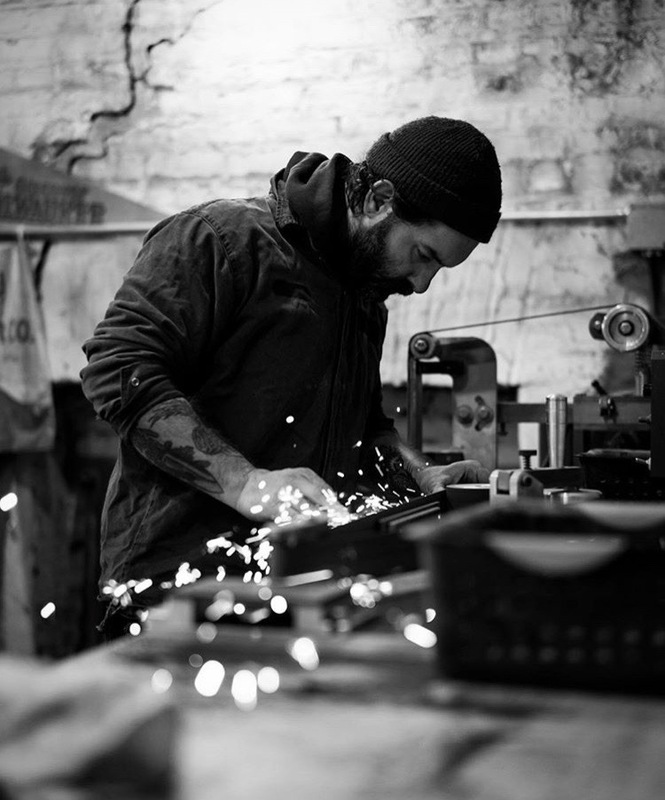 Sourcing the finest American made steel, every edge is honed to perfection by hand. Handle materials are responsibly sourced and individually shaped to fit your hand as though it was made for you. In fact, maybe it was. With numerous profiles and scale materials, the perfect piece is waiting for you. If not, bespoke products are made with the same refined process intrinsic to Nomad. Every Tool that leaves Bryan’s bench is refined enough to compliment any EDC kit and robust enough to quell any problem Mother Nature throws your way. Simply put, Nomad Knife & Tool is Quality that Cannot Fail.